Are There Any Risks in Media Buying? 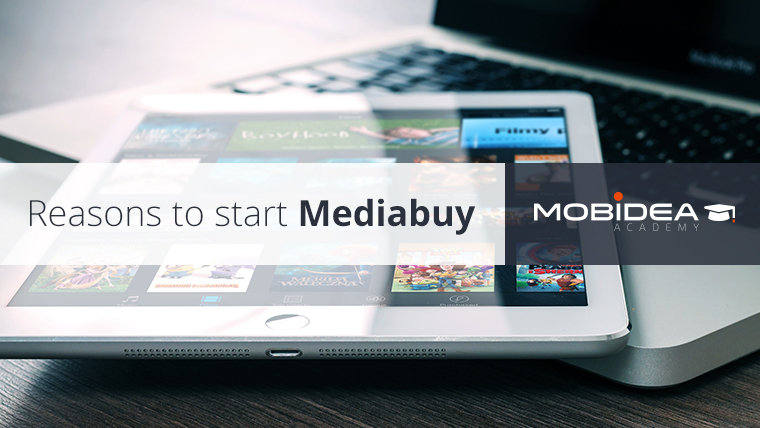 Over the last few years, Media Buying has become a very popular way to earn money. In fact, a lot of people quit their main jobs to focus exclusively on Mobile Media Buying, as they find it much more profitable and interesting. This is a completely new way of making money. Indeed, the whole mobile marketing industry is still very young, which means the competition is quite low when compared to the market potential. Media Buying is the process of buying online traffic from websites or networks and monetize it by promoting offers from direct advertisers or networks which pay you to do that. For example, a Media Buyer pays a website for showing his ad (for example, a banner ad). In other words, he pays if the users of the website actually see the banner. This model is called cost-per-impression. On the other side, our Media Buyer gets paid by the advertiser (owner of this offer) when those users click on the offer and make an acquisition, which may be a subscription, a sale, etc. Let’s try to understand the whole mobile marketing ecosystem a little better. From the image above, you can easily see that the most important part is the users. It seems clear that, without users, there’s no revenue. Now let’s try to grasp how the flow really works. First, you should be aware of the fact that Mobidea has offers from advertisers worldwide. Social media (Facebook Ads) etc. Lastly, when the users make the necessary action, the payment instantly appears on the Media Buyer’s account, on the platform, as a signup/conversion. Mobidea plays a crucial role in the system, as it provides access to offers from direct partners worldwide. I guess this explanation may not be totally clear. Indeed, it seems that this business is a bit more complex than just digging a hole. Nevertheless, as soon as you start, it won’t take a long time for you to be able to understand everything. Don’t stop searching for info and keep on reading. Want to know why you should become a Media Buyer? Here’s the list of reasons to become a Media Buyer! For example, if you’re a webmaster, you need to create websites, work on SEO, promote it for a long time, look for users, create content, update it, etc. This whole process will obviously take a huge amount of time. However, if you become a Media Buyer, you can start earning immediately! It’s common sense that you’ll have to invest some money. Even so, don’t overthink it: the whole process is so fast that you’ll get to check the outcome of your investment in weeks or even days! Unless you’re very lucky, you probably won’t have a big margin in you first try. Media Buying is all about learning, trying, testing and making mistakes. It’s only by going through this process that you’ll be able to get both knowledge and experience. Nonetheless, don’t worry: you’ll learn everything you need to make a bucketload of money in a very short period. You’ll also become able to quickly understand which offers work for which traffic, understand how to follow trends, and ascertain what does and doesn’t have potential. These invaluable experiences and skills will make you grow and ultimately will help you increase your income! Media Buying is a very interesting, I would even say addictive activity. Everybody dreams about the job they would really enjoy. Apparently, Media Buying is one of those dream jobs, at least for most of the Media Buyers I know. Take my word for it: this is something you’ll really love doing. In fact, problems such as lack of motivation or draining boredom won’t really affect you in this line of work. Some of these points may sound like fictional stories but I guarantee this is the truth. If you start thinking about what really matters, you realize the most important thing is that you must enjoy what you’re doing. I’m a Media Buyer, so you can trust me: there’s nothing like checking a campaign’s progress, analyzing stats and getting to know the amount of cash you’ve made the previous day. Media Buying is literally a game. It’s an adult’s game, and a pretty interesting one too. Basically, you analyze, invest and compete with other players. But the best part is that – by playing this game – you earn money. In addition, you’ll find a lot of great people in the Media Buying community as most of them are quite friendly and glad to help you. There are hundreds of forums, blogs and other places where Media Buying communities share knowledge, helping each other and generally having a great deal of fun. Moreover, it’s most likely you’ll work with some affiliate network that’ll provide you offers. That means you get your own affiliate manager, who will always be there for you, further increasing this sense of companionship and comradery which is a cool part of the business. Are you sick of your boss always telling you what to do? Are you tired of not being allowed to grow and explore your true potential? By becoming a Media Buyer, you get to be your own boss, so all the decisions are yours to make. You don’t need to go to the office at 9 AM anymore. Even better than that: you don’t need to go to the office at all! From the moment you become a Media Buyer, you decide when and where to work and you choose the people you want to work with. Does it sound like the life of a happy entrepreneur? This is entrepreneurship but with much lower investments and faster returns. If you just give Media Buying a chance, you’ll experience all the great things about this business. It’s probable that, after you get to be a Media Buyer, you’ll never feel like returning to an office desk. In general, the main risk for any Media Buyer is to make less money than he invests in an ad campaign, which can happen due to a number of reasons. In order for you to avoid the most common beginner’s mistakes, I strongly advise you to read our Mobidea Academy very carefully, especially this article and this. Remember: if you still have questions after reading our articles, you can never forget that, on Mobidea, we’re always here for you! If, after reading our articles, you have questions you feel like asking, don’t hesitate – we’ll be glad to help you! We’re an international and multicultural team with extensive experience in Media Buying and give 7 days’ support to affiliates worldwide. Therefore, even if everything seems clear, don’t think twice about reaching out to us. I’m sure you’ll find our recommendations useful. In Media Buying, money doesn’t just fall from the sky. This is a business for dedicated workers who know the value of testing, analyzing and, most importantly, it’s for people who know the meaning of patience. If you are determined, hard-working, and always keen to grow step by step, you’ll certainly become an expert and make serious money.